PC Nextday has recognised that, to be truly attractive to the demographics that is most interested in PCs, a laptop must be capable of doing more than word processing. As such, it has created the Zoostorm 84-5200 which features a powerful processor and graphics card, and caters for students and workers looking for that little bit more from their machine. Standing out from other laptops, it features a high-end Intel 2.4GHz Core 2 Duo processor, combined with 4096MB of memory to provide great performance for the price. In daily use, this machine is hard to beat. The 15.4-inch screen shares the same 1280 x 800-pixel resolution as several others. It's bright enough and provides good colour reproduction. A dedicated Nvidia graphics card means the Zoostorm 84-5200 gives a strong 3D performance, and the 512MB of video memory means that gaming is possible – although detail settings have to be turned down a little to run the very latest titles. PC Nextday regularly uses generic chassis' to lower costs, and while this 2.7kg design is attractive, it's a little uninspiring. The pearl-white finish quickly looks dirty and clashes with the bright white of the keyboard. It is suitably durable, however, and should ably withstand life in on the move. The screen's lid is mounted quite loosely on the chassis, however, and shakes a little when typing which can be quite off-putting – especially with the reflections caused by the Super-TFT screen coating bouncing light around. Like the chassis, the keyboard is good, but uninspiring. The keys are large and nicely spread out, but rattle during typing and feel slightly spongy to the touch. The touchpad is medium-sized and shouldn't pose any problems. Storage is excellent, with a 320GB hard drive capable of holding plenty of files and folders, as well as large applications and multimedia collections. If you need to use Adobe Photoshop or other software of this ilk, this laptop is the machine for you. Gigabit Ethernet is included, as is 802.11n Wi-Fi for fast connection to wireless hotspots. Three USB ports provide room for peripherals, an eSATA interface allows for rapid data transfers to external hard drives and an HDMI-out port cements the laptops multimedia credentials. 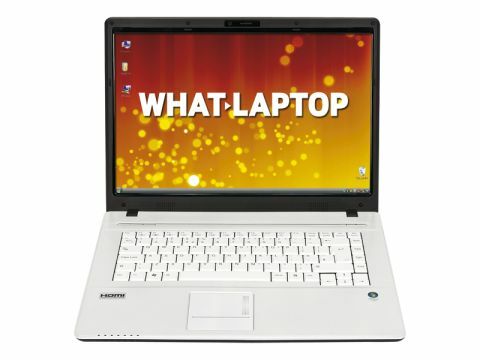 The PC Nextday Zoostorm 84-5200 is a great laptop with impressive performance and a wide range of features. If you're after a laptop that will give you more for your money, this is the ideal machine.